Ibrox Noise: Has key Rangers man dramatically changed his mind? Has key Rangers man dramatically changed his mind? In a further curiosity to the developing story (and increasing confusion) over Ryan Kent and his alleged value, his loan manager Steven Gerrard’s curious comments over Kent’s own intentions have really muddied the waters over the situation. 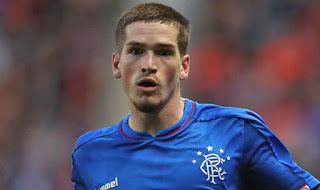 Remember, Ryan Kent has gone on record as saying, in the past, that he wants to remain at Ibrox, and that that is his first choice. But strangely Gerrard made no reference to that and instead only said that the player, his club and his representation ‘know’ Rangers wish to keep him but that the decision is out of our hands. It’s a very, very odd development when the player already said he wanted to stay and suggests he no longer does. Especially given Gerrard’s further confirmation the call to keep Kent is not in Rangers’ hands – which may well imply it’s down to the player. It all adds up to a strange way of putting it, rather than saying the player has ‘suggested’ he might want to remain and we’ll see if we can do something. Instead it appears interest from richer sides willing to shell out the asking price has turned Kent’s head and likely that of Liverpool too. We hope this doesn’t turn into some ugly and gratuitous transfer saga and it is resolved one way or the other ASAP. If Kent was our player then I doubt there would be any interest in him at any price. He just hasn't been consistent enough to merit a valuation anywhere near £7m. We should let him go back to Liverpool and strengthen other areas of the team.